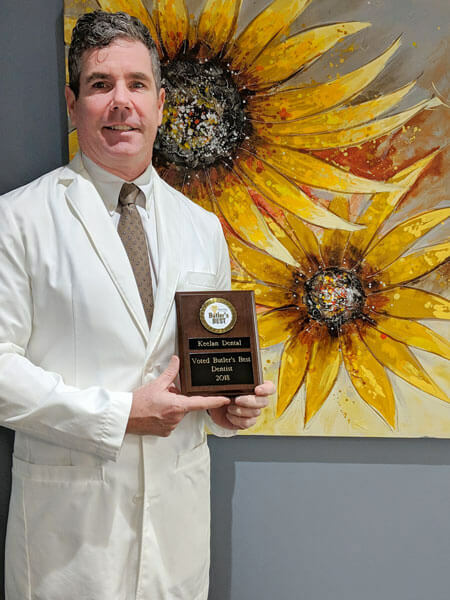 For the past three consecutive years, Dr. Keelan was voted “Butler’s Best Dentist” by The Butler Eagle newspaper. Nothing makes us happier than knowing we have served our community well. Come find out what makes us an award-winning practice! In November 2018, Butler Radio Station listeners voted Keelan Dental the “Best Dental Practice” in Butler.